On June 26, 2018, Scott Pruitt, Administrator of the U.S. Environmental Protection Agency (EPA), signed a proposed rule that includes 2019 Renewable Fuel Standard (RFS) percentage standards for cellulosic biofuel, biomass-based diesel, advanced biofuel, and total renewable fuel, as well as 2020 renewable volume obligations (RVO) for biomass-based diesel. We welcome EPA’s decision to raise the advanced and cellulosic biofuel volumes in its proposal, which will help propel the industry forward in 2019. 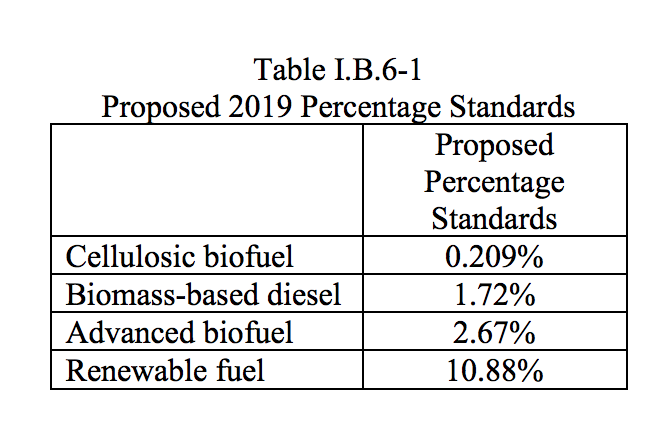 However, the advanced biofuels industry is still suffering the effects of the Agency’s decision to arbitrarily limit growth for low carbon biofuels in 2018, by setting a backward looking RFS requirement. The 2019 volumes should be higher, to correct from last year and also spur growth for the coming year. EPA’s decision to forgo reallocation of gallons displaced from small refinery waivers at the behest of the petroleum industry is disappointing. 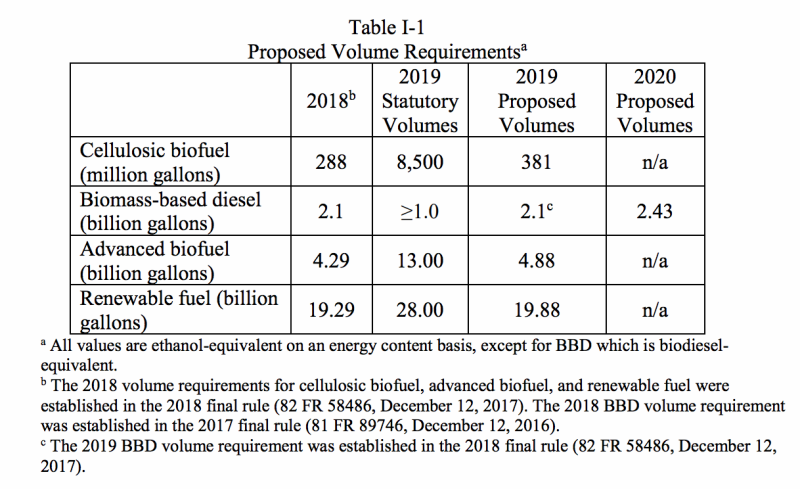 In order to ensure a favorable and supportive investment climate for advanced and cellulosic biofuel producers, EPA must reallocate the gallons from the small refinery waivers already issued and into the future. A comment period will start following publication of the proposed rule in the Federal Register and comments will be due by August 17, 2018. Comments can be filed online at www.regulations.gov under Docket ID No. EPA-HQ-OAR-2018-0167. EPA plans to schedule a public hearing on the proposed rule.